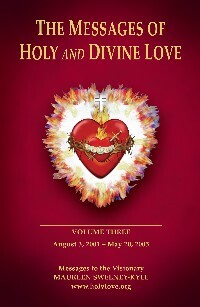 Book: The Messages of Holy and Divine Love Volume 3. 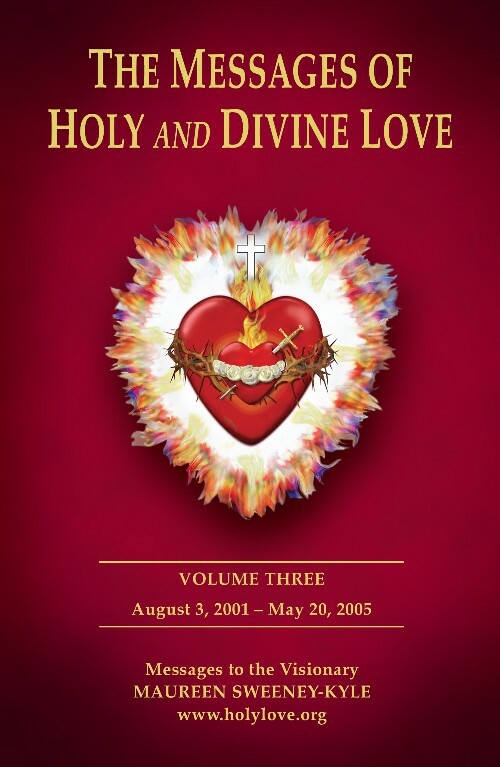 This third volume of The Messages of Holy & Divine Love covers the period from August 3, 2001 to April 18, 2005. Topics include: Messages from St. Thomas Aquinas and his Family Consecration; talks given by Maureen Sweeney-Kyle; Messages from St. Mary of Agreda on the virtuous life of Our Lady; Revelation of a Sixth Chamber of the United Hearts; Our Lady’s Arbor Messages; Divine Victimhood; and much more.